Welcome back sippers and readers to #TWTBC and this is Book 1 | Talk 2. In this talk we'll be covering chapter two (pages 70-109) of the title They Can't Kill Us All by Wesley Lowery. So if you haven't read up to page 109 go ahead and pause here to finish then continue on with Talk 2 below. Chapter two was jammed packed with lots of insight and reminded heartache that has ultimately fueled Black Lives Matter. Wesley recalls exchanging emails with George Zimmerman, the first time hearing of the death of Tamir Rice and witnessing how the media villainized victims and activists supporting justice. While reading, one particular piece brought back memories and that was Wesley mentioning 'The Talk.' As explained in the book, 'The Talk' is a "set of warnings passed down from black parents to children." The point of the talk is to gain self awareness to fact that there are many people in the world that view darker skin as a threat. I remember having the talk with my mother. My mother was never direct with me but she loosely told me to be careful in the company of white people because their perception of me may be skewed. 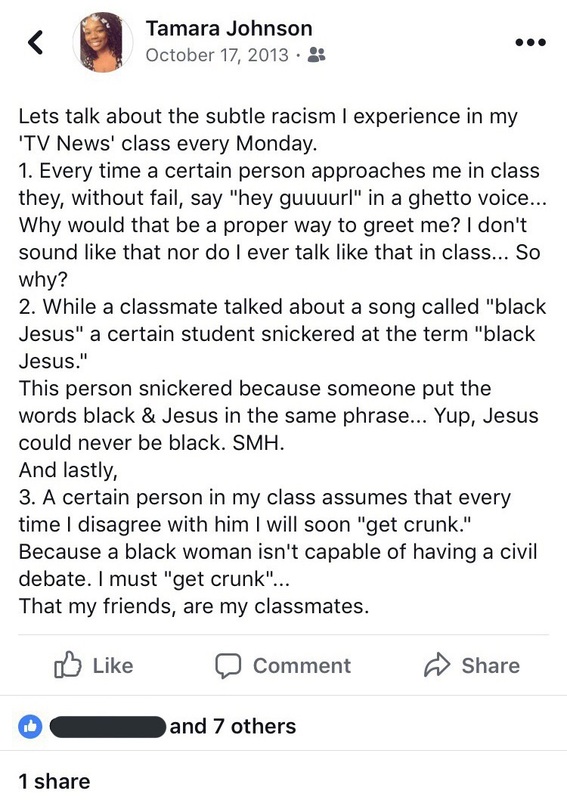 At first I didn't understand what she talking about because my teachers were white, my friends were white and even my step mom was white. So why did I have to be so "careful" around people I trusted? But of course as I got older I began to understand exactly what my mother was warning me of. Recall a time you've received or given 'TheTalk.' Were the warnings clear to you or them at first? And what feelings did you/or them have after? What race awakening stands out the most in your lifetime? Do you believe you can be a person of color and never experience a race awakening? Share you answers and opinions below! And don't forget to head over to the hashtag #TWTBC on Twitter to join the discussion there too!